Renew CEO Donna Luckman (centre) with other stakeholders at the Z-Net launch. A 10-year plan to turn the Hepburn Shire in central Victoria into a model zero-net emissions community was launched in Daylesford on April 4. 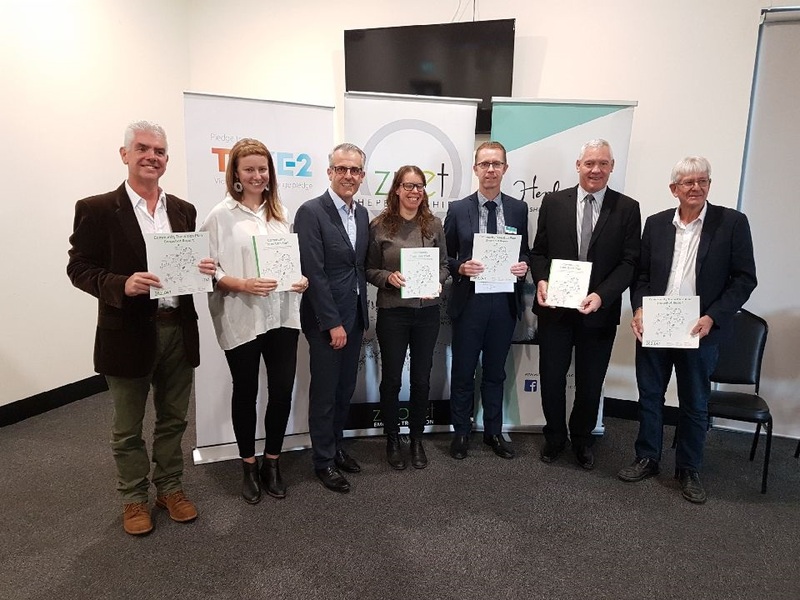 The Z-Net Community Transition Plan is a detailed master plan for the shire reaching 100% renewable electricity supply, zero-net energy and zero-net emissions by 2029. An initiative of the Coalition for Community Energy with pilot funding from Sustainability Victoria, the project was led by Renew and Little Sketches with help from many other collaborating groups and individuals including Starfish Initiatives. The project team worked closely with Hepburn Shire Council, Hepburn Wind and local sustainability groups SHARE, Hepburn Relocalisation Network, Trentham Sustainability Group, Transition Creswick and Clunes Sustainability Group. Click here to read the Community Transition Plan and for more information on Hepburn Z-Net.